Two Chicago-area health systems may have a tough time persuading a federal judge next week to allow their merger to move forward in one of the biggest healthcare deals to be challenged by the Federal Trade Commission in years. Advocate Health Care and NorthShore University HealthSystem will face the FTC in federal court in Chicago in a hearing scheduled to begin Monday. The hearing had been scheduled to begin April 6, but it was delayed on April 5 until next week. A judge will weigh the FTC's request for a preliminary injunction to pause the merger while the FTC holds administrative hearings to determine whether the deal should be allowed. Much is at stake: The FTC typically abandons such fights if it can't get an injunction. Advocate and NorthShore have said in documents filed with an FTC administrative judge that if the government wins the injunction “it is unlikely” they'll continue to fight the battle. This and other recent FTC challenges are being watched closely as healthcare systems across the country continue to merge in an effort to improve quality and lower costs. 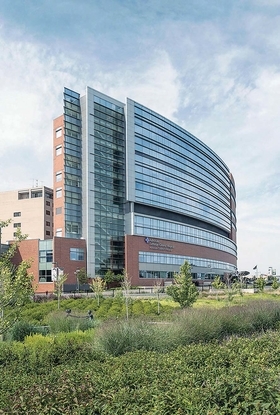 The FTC alleges the deal would allow the system to control 55% of general-acute inpatient hospital services in Chicago's north suburbs, where the systems now operate hospitals that compete. That would lead to higher prices and potentially lower quality care, the FTC says. Federal regulators say the merger would create the 11th largest not-for-profit hospital system in the nation. The systems counter that the FTC misidentified their market. They also say if the systems merge, they will create a new insurance product that will cost 10% less than the lowest-priced comparable product available. The systems, however, may face an uphill battle, especially given the FTC's recent winning streak in challenging hospital mergers, experts say. “The challenge for the merging parties is in that you've got experienced antitrust enforcers on the other side who have a very well-developed methodology in how to evaluate these hospital mergers, and the courts have pretty much signed on to how the FTC and other enforcers … believe that antitrust analysis should proceed,” said Matthew Cantor, a partner at Constantine Cannon. Advocate, with 12 hospitals, and NorthShore which has four, declined to comment. The systems offered to settle last month, saying they would not significantly raise rates for inpatient services charged under any fee-for-service contract, but the FTC had not yet responded to that offer as of Monday. Antitrust experts question the strength of some of the systems' arguments, including that the merger is justified partly because it will allow them to offer a lower-priced insurance product. But Jeff Miles, an antitrust expert with law firm Ober Kaler, said questions remain about why the systems must merge to offer the product. The systems' new product wouldn't necessarily counteract the anticompetitive effects of potentially charging other insurers higher rates if they merge, Cantor said. The systems would have to show that their insurance product would influence insurance rates systemwide, he said. Cantor did say, however, that he hasn't seen such an argument about a new insurance product offered before in a hospital merger case. If that is convincing, other merging hospitals might use it as a line of defense in future merger challenges. Some experts say the systems' argument that the FTC misidentified their market is unlikely to win the day for them. It's a common argument in hospital merger cases but rarely a successful one. The systems say the FTC is ignoring the fact that 27% of patients leave their supposed geographic market in the North Shore Chicago suburbs for inpatient hospital services. They also say that nearly half of patients treated in their supposed geographic market travel there from outside the area. Advocate and NorthShore argue that the North Shore market identified by the FTC is therefore not a market at all. They say courts have rejected the idea that an area can be considered a geographic market if more than 10% of patients leave or enter the area for healthcare services. The systems say their combined market share is actually closer to 28% when their market is properly defined. The FTC, however, has changed the way it defines markets in recent years and now looks at measures other than just where patients travel for services, Miles said. Now, the FTC defines geographic markets based on whether the merging entities could profitably raise prices once combined. If the answer is yes, then those systems can constitute a geographic market, Miles said. “The ultimate question is whether after the merger they could make a price increase stick,” said Richard Feinstein, a former director of the FTC's Bureau of Competition who is now a partner at Boies, Schiller and Flexner. This newer method “almost always results in relatively small hospital geographic markets,” Miles said. Just last year, the FTC successfully used that method to define the geographic market in a major case against Idaho's St. Luke's Health System over its acquisition of a medical practice. A federal appeals court ultimately sided with the FTC. In that same case, the courts heavily considered how the acquisition would affect local insurers. That's likely to be the case in the FTC's challenge of the Advocate and NorthShore merger. But Lisl Dunlop, a partner at Manatt, Phelps & Phillips, said courts haven't been very sympathetic to that kind of an argument. “There are other insurers in the area, so you'd be worried about the impact on them as well,” Dunlop said. Officials with Blue Cross and Blue Shield and Cigna were scheduled to testify the first day of the hearing. Experts agree that the systems will have a hard time overcoming many of the FTC's arguments—but that's not to say the case has already been all but decided. Feinstein cautioned that though the FTC has scored a number of victories in hospital merger cases in recent years, no two cases are the same. This FTC case, for example, is different from previous ones in that it centers on health systems in a much more urban market with many hospitals, Feinstein said.